Born in Somerset, England, Philip Clark graduated from the Guildhall School of Music and Drama in London where his teachers included Nannie Jamieson, Peter Schidlof, Max Rostal, the Amadeus Quartet, William Pleeth and Emanuel Hurwitz. He has performed with many distinguished ensembles including the London Symphony, the Royal Philharmonic, the English Chamber Orchestra, Scottish Opera and the Menuhin Festival Orchestra, and has worked with William Walton, Benjamin Britten, Pablo Casals, Mstislav Rostropovich among many other distinguished artists. As a soloist and string quartet player, he has played in more than thirty countries. He has taken part in many recordings, and broadcast with the BBC and other European stations, the Australian and New Zealand Broadcasting Corporations. He has also played before the Queens of England and Holland. He taught at the Universities of Edinburgh and Lancaster in the U.K., Auckland in New Zealand, and Kent State University in Ohio. Before coming to Charlottesville in 1991, he was a professor of Violin and Viola at Ithaca College in New York. Philip Clark composes and arranges music and has compiled and published numerous, popular collections available through Latham Music. Locally, he has organized orchestras and chamber music workshops in the Charlottesville area, taught at the Village School, St Anne’s Belfield School, Charlottesville High School, performed with the Richmond Symphony, Opera on the James, The Virginia Consort and conducted the Blue Ridge Chamber Orchestra. He continues to maintain a private studio in Ivy where he teaches violin and viola. T.K. started violin at the ago of 5 at the Community Music School at the University of Memphis under Greg Morris. Throughout grade school, he participated in the Memphis Youth Symphony program, Tennessee Governor’s School for the Arts, as well as the All-West & All-State Tennessee Orchestras. During a four year hiatus from violin, T.K. completed his bachelors degree in biomedical engineering and mathematics at the University of Memphis in 2014. He currently resides in Charlottesville where he is a doctoral student in the Department of Biomedical Engineering at the University of Virginia. Anna started playing violin when she was 4 years old under Nora Teipen in St. Louis, Missouri. Throughout grade school and high school she continued taking lessons and participating in various ensembles in the St. Louis area. Anna played with the Kirkwood High School Symphonic Orchestra and earned the concertmistress seat for the majority of her high school years. After graduating from Vanderbilt University with a degree in Civil Engineering, her first job took her to New Jersey, where she played with the Ridgewood Symphony Orchestra and for local weddings. After working as a Civil Engineer in the northeast for a few years, Anna moved to Crozet with her husband, John, and 1 year old daughter, Susan. She enjoys playing with the CCO as well as the Crozet Catholic Church Music Ministry! Laura began studying the viola at the age of 8 in Cincinnati, Ohio under Larrie Howard, violinist for the Cincinnati Symphony Orchestra. Throughout grade school, she also played for the Cincinnati Symphony Youth Orchestra as well as the Ohio Southwest Regional and the Ohio All-State Orchestras. After graduating high school, she attended The Ohio State University where she played for The Ohio State University Symphony Orchestra for four years while earning her bachelors degree in biomedical engineering. She currently lives in Charlottesville where she is completing her doctorate in biomedical engineering at the University of Virginia. Beth began playing the cello at age 8 in Buffalo, New York under the tutelage of Alden Ring, cellist with the Buffalo Philharmonic Orchestra. Except for several busy years when her children were young, Beth has loved every minute of playing in various orchestras and ensembles since childhood. An Associate Professor at the UVA School of Nursing, Beth keeps busy with research and teaching. She always looks forward to Wednesday night CCO rehearsals and is delighted to be playing with such a wonderful conductor and orchestra. Clara is a native of Charlottesville, Virginia. Her music career began at age seven as a trumpet student. She received at B. M. Ed. from Madison College (JMU) and an M. Ed. in the teaching of reading from the University of Virginia. She taught elementary school for ten years and then worked as an Coordinator in the Charlottesville Public Schools for the remainder of her career. She currently performs with the Municipal Band of Charlottesville, Monticello Quintet, High Street Trio, Charlottesville Horn Club and Crozet Community Orchestra. Clara has also performed in the Charlottesville University Symphony Orchestra, the Waynesboro Symphony, the Lynchburg Symphony, Ash Lawn, and for various churches, weddings and musicals. 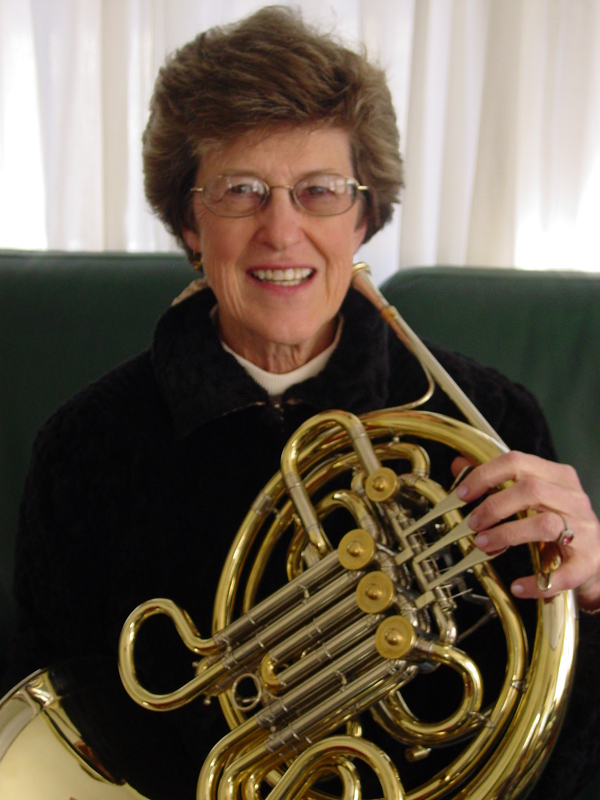 In addition, she teaches brass students from ages ten to eighty privately in her home. Craig earned his Bachelor of Music Performance degree at VCU in 1996. He minored in piano and majored in percussion with a strong emphasis on solo marimba, timpani and concert percussion. Craig is an adjunct music instructor at Woodberry Forest School, a college preparatory boarding school in Orange, VA where he gives both private lessons and group lessons in Scottish bag pipe drumming and provides support for the concert and jazz bands, as well as performing with the pit orchestra for school musical and dramatic productions. His career in music has spanned decades with touring, composing, performance and recording collaborations across a broad range of genres. Craig opened Crozet Music in 2008 in the heart of Crozet’s downtown historic district. Crozet Music offers musical instruments repairs, lessons and musical merchandise. Repair services range from minor repairs to complete overhauls on both student and professional instruments including woodwinds, brass, string and percussion instruments, with a specialty in woodwind repair. Music instruction includes drums and percussion, music theory, and beginner piano and guitar. He tailors his music instruction curriculum to the individual student, with a focus on aptitude and desired proficiency.